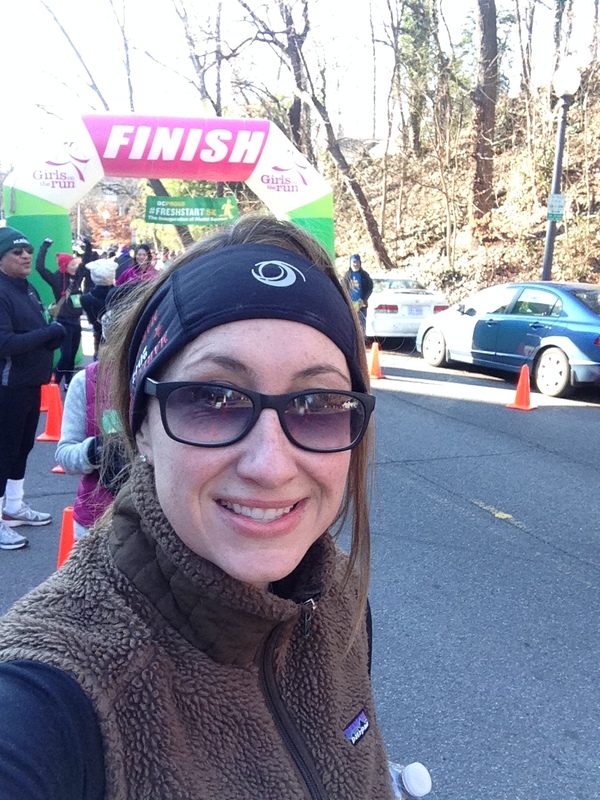 Celebrating the first day of 2015 with perfect weather and a free 5k in a beautiful Washington, D.C. neighborhood? I can’t think of a better way to start the new year! 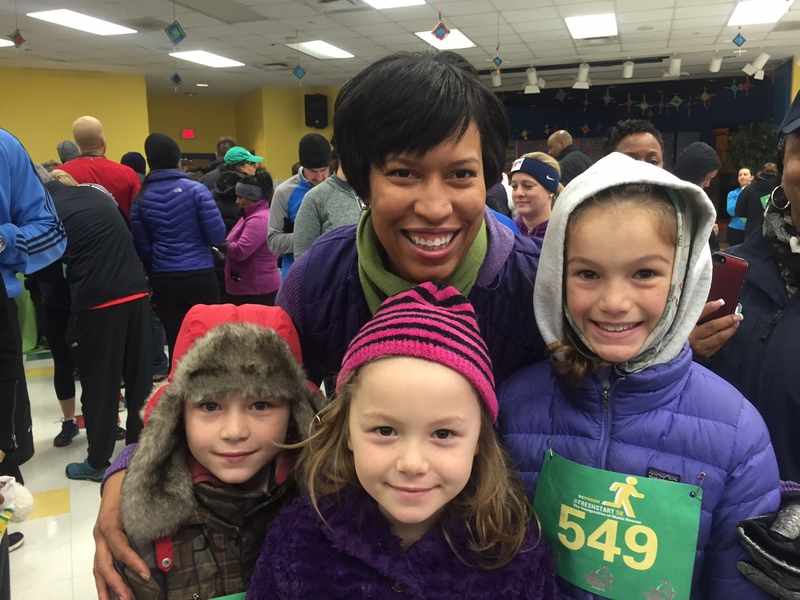 The “Fresh Start” 5k was hosted by D.C.’s new mayor, Muriel Bowser, as part of her inauguration festivities. The race had a convenient 9:00 AM start time for those of us who were, ahem, “over served” on New Year’s Eve. Starting and ending at the Oyster-Adams Bilingual School on Calvert, the 5k winded through some of D.C.’s most gorgeous (but hilly) residential streets. We arrived early for the race and had a chance to meet Mayor Bowser – only the second female mayor in D.C. history! 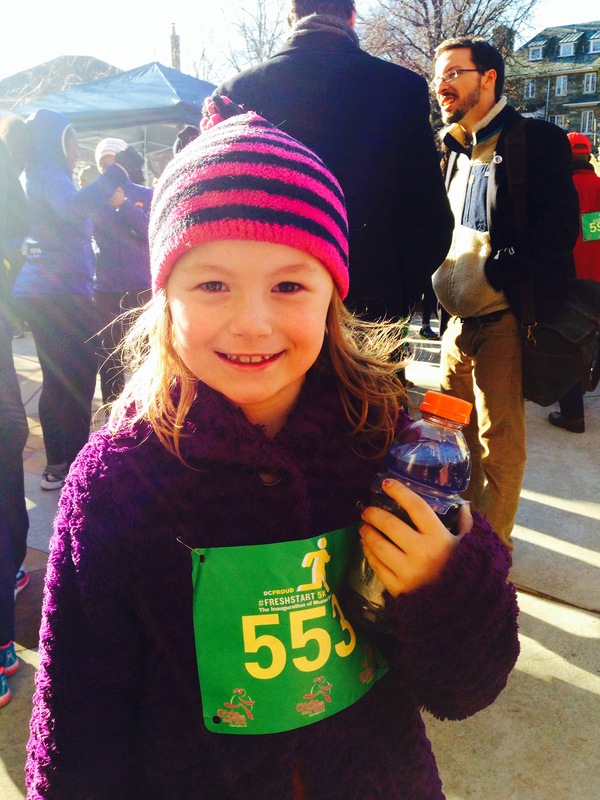 I ran with my daughter Anna…who, at 10, was thrilled to finish before both the Mayor and D.C. Councilmember Mary Cheh. She’s a natural! Lilly and Mike (our 7-year-old twins) finished soon after. Water, juice, Gatorade, and fresh bananas were available for runners at the finish. Super nice, especially for a free race! 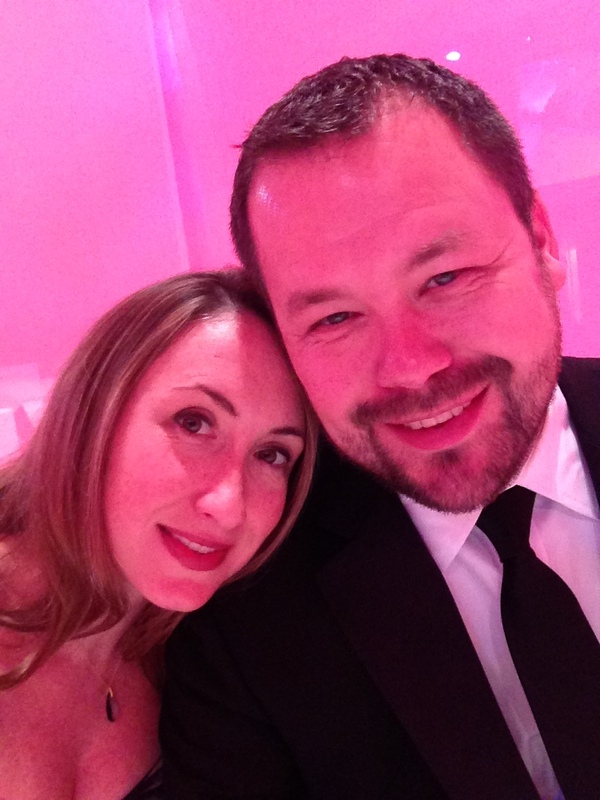 I wish I could say that the race was my favorite part of Mayor Bowser’s festivities…but my husband and I attended her Inaugural Ball on January 2nd, and WOW! What a swanky affair. Here’s a shot of us celebrating D.C.’s new mayor! Happy running!